I thought I knew Chinese food. Then I came to China. “Chinese” restaurants in America are a pretty poor representation of the real thing. Panda Express and all those Chinese buffets are about as American as Burger King. Some of our favorite “Chinese” foods are western inventions as well. But really, what did you expect? 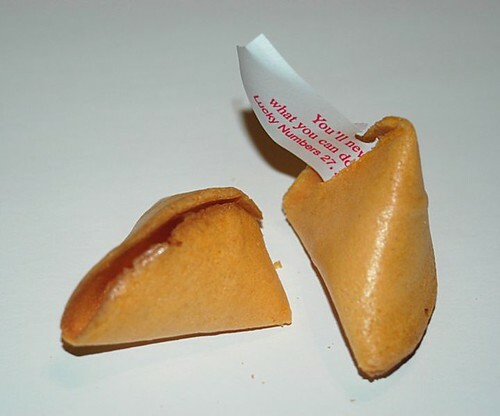 If you went to a Chinese restaurant in the U.S. and you weren’t served a fortune cookie at the end of your meal, you’d throw a fit. In China, nobody’s even heard of them. Oreos are way more common. The fortune cookie is practically the symbol of Asian dining in the west, and for good reason. Turns out they were invented in California in the twentieth century. All those “ancient Chinese proverbs” and the Chinese mysticism that goes with it is about as American as apple pie. I think every meal I’ve ever purchased at a Chinese restaurant in the U.S. has come with an egg or spring roll, the tasty little fried pastries filled with things like bean sprouts, shredded meat and carrots. In forty days in China, I haven’t seen a single egg roll. I’ve seen a few fried dumplings with a similar shape, and I’ve seen a few sweet rolls with bean paste that are not fried. 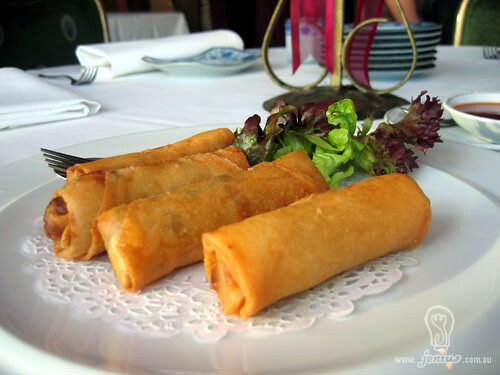 Apparently, spring rolls are more of a Vietnamese thing which were adopted by western Chinese restaurants, because westerners really like bland, fried things. And egg rolls followed spring rolls. 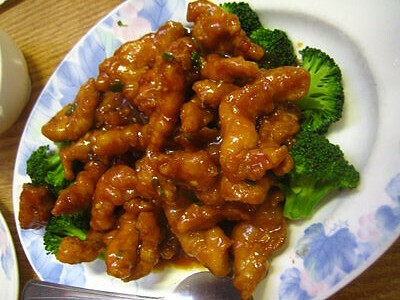 By far the most popular “Chinese” dish in America is General Tso’s Chicken. I’ll admit, it’s one of my favorite Chinese carry-out options. It’s sweet, it’s deep fried and it’s chicken. Of course Americans are going to like it! I have not seen General Tso’s Chicken or anything resembling it in China. Chinese people don’t like sweet fried meats; they want their meat and sauce spicy. American tastebuds are just the opposite though, which might explain why General Tso’s Chicken was most likely invented in New York City in the 1970s. And its connections with the actual General Tso (Zuo Zongtang) of the Qing Dynasty are a longshot at best. It’s a given that in any Chinese restaurant you visit in the United States is going to have plentiful amounts of soy sauce waiting for you, right on the table. Americans love to slather soy sauce all over their Chinese food, especially rice. When you order any sort of fried rice in the U.S., it is fried with soy sauce, which gives it its brown color. Most Americans couldn’t imagine eating white rice without at least a splash of soy sauce. After all, soy sauce is the definitive Asian condiment! Well, turns out that soy sauce isn’t nearly as popular in China as it is in the west. Chinese eat rice with almost every meal, and they never add soy sauce to it. They eat their rice plain and white, and their fried rice is white as well, because it isn’t fried with black soy sauce. 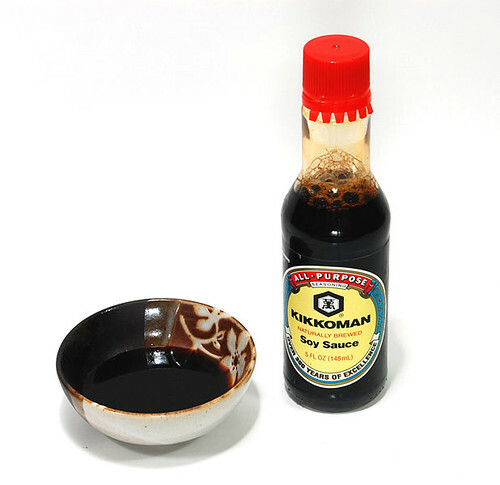 If you want soy sauce with your meal at a restaurant, you won’t find it waiting on your table. You have to ask for it. Packing up your leftovers and taking them home with you is a very western concept. If you don’t finish your meal in China, you leave it behind. There are no little Styrofoam containers to take home your half plate of unfinished fried rice. Portion sizes are quite generous in China, a lot of food goes to waste, and that’s just how it is. When a group leaves their table behind after a big meal, it’s usually enough to feed another group of equal size. And it all goes to waste. Another western concept is splitting the bill. In China, most meals are eaten in big groups, and one person will *always* pick up the check. Usually there’s a fight over who will pay, though it usually ends up being the senior member of the group. Asking for “separate checks” is unheard of. There’s also no tipping. If you try to leave money behind for your waitress, she’ll refuse it, and probably chase you down the street to return it to you. In my weeks in China, I’ve discovered that many of our favorite dishes are pretty much the same thing in China. Pork Fried Rice is everywhere and tastes almost the same (minus the soy sauce), and Sweet and Sour Pork is common as well. I’ve seen the occasional Orange Chicken too. That’s a sign advertising “Dumping Stuffed with the Ovary and Digestive Gland of a Crab.” Bet you won’t find that in any American Chinese restuarant. Indeed, Chinese eat just about anything. Take “Three Squeak Mouse” for example. This is a small mouse, eaten raw and alive. It gets its name from how it is eaten. The first squeak is when you pick it up with the chopsticks, the second is when you dip it in its boiling sauce, and the third is when you bite its head off! You’re never gonna find that at Panda Express. Pete, enjoyed the post. It doesn’t sound like you made it to Shanghai. Just wanted to say I have had something that looks and tastes like General Tsao’s chicken but it was in the school cafeteria and I’m pretty sure it was mystery meat they recycled from the day before. More proof that most Americans seriously lack a palate. Good luck on the rest of your trip. I enjoyed this post and it is very true about Chinese cuisine in China and how different it is from what Americans believe it to be.